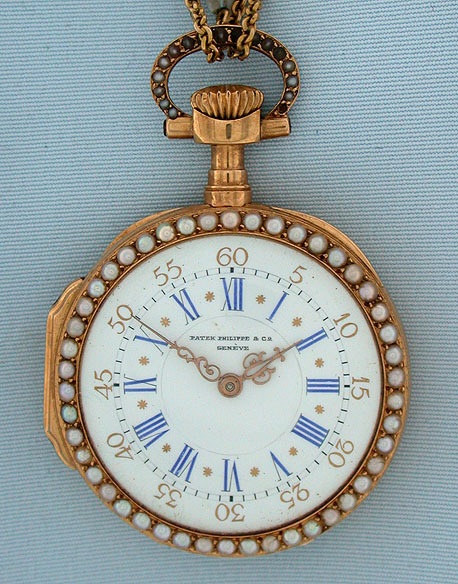 Fine beautiful and scarce Patek Philippe 18K gold Louis XV style painted enamel and pearl antique ladies pendant watch circa 1890 with 14K gold and pearl chain. 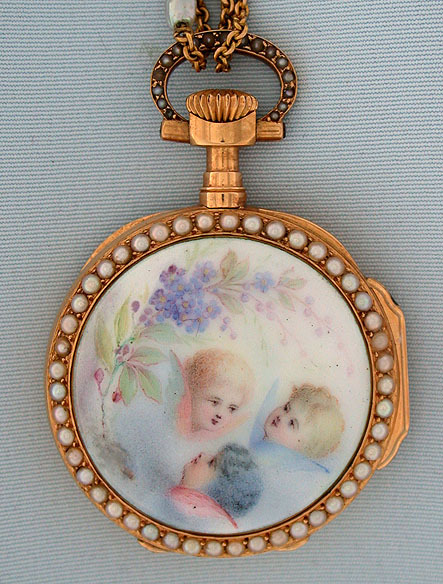 The bezels and bow set with pearls, the back with a delicately painted enamel scene of three cherubs and a spray of flowers. 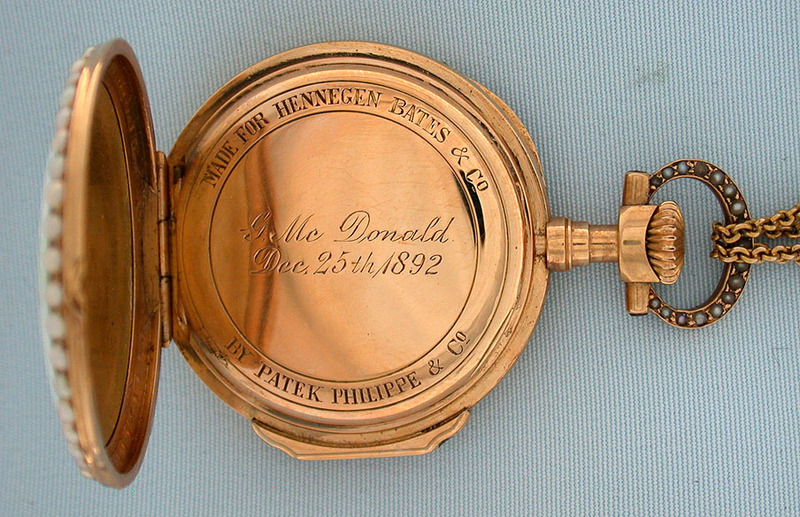 White enamel dial with gold and blue numbers, black markings,and fancy gold hands. 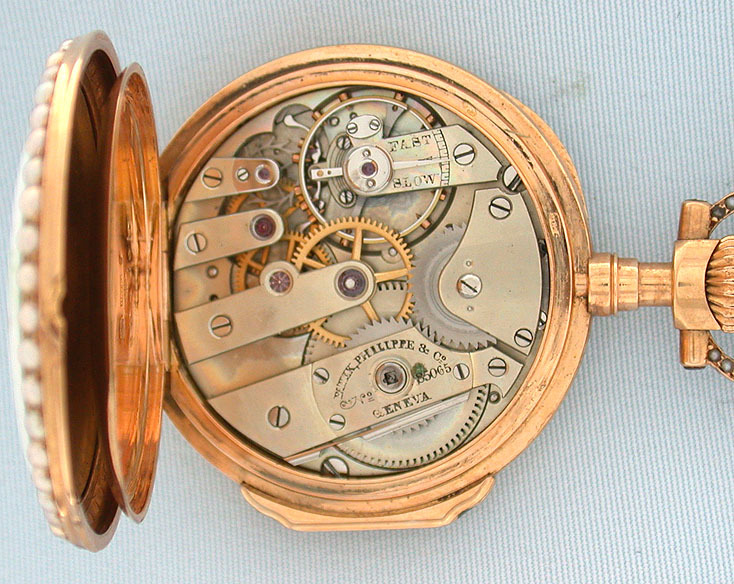 Fine 18 jewel nickel movement with wolf's tooth winding and counterpoised moustache pallet fork. 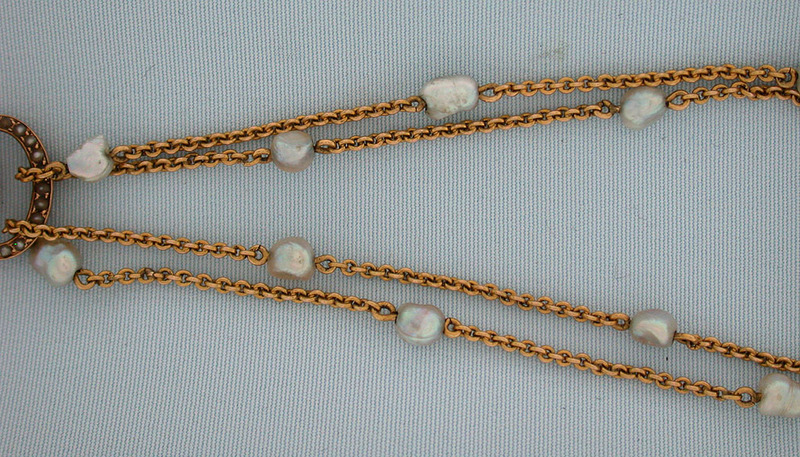 Chain length 25 inches.